The first person of color to serve as director or dean of GSSW. The first African American to serve as a graduate dean at the University of Denver. LeVerne McCummings was born and raised in South Carolina, attending segregated elementary and secondary schools in Marion County. Although his family moved to Philadelphia when he was 19, McCummings returned to the South, attending St. Augustine’s College in Raleigh, North Carolina from 1952 to 1960. (His undergraduate work was interrupted by two years of military service in the U.S. Army.) He graduated from St. Augustine’s (a four year liberal arts college for African Americans, operated by the Episcopal Church), majoring in social studies, with minors in psychology and urban mental health. As a college student, he was active in two national civil rights organizations. After graduation, he married Betty Hall, who later earned a doctorate in public administration from the Maxwell School of Citizenship and Public Affairs. He began his practice career in the Philadelphia area, starting in 1960. Over the next 15 years, McCummings worked in various positions as a public school teacher; a public welfare caseworker; development director for the Lutheran Social Mission Society; community development director for the Wharton Settlement House; and held several administrative or executive positions in the Model Cities Program in Philadelphia. He also held administrative positions in public and private agencies in Columbus, Ohio, while completing his doctorate. McCummings completed his MSW in 1966 at University of Pennsylvania. In 1973, he joined the social work faculty at University of Kentucky. He earned a doctorate in social work from Ohio State University in 1975, while also serving on that faculty as an assistant professor. His areas of expertise were group work, administration, health, and aging. He spent two contentious years as a faculty member at Syracuse University School of Social Work, battling what he perceived to be entrenched institutional racism. He came to DU in 1977 as Associate Professor. Became GSSW Dean in 1978, at age 45. Later, was elected president of the Council of Deans and Directors (1982-1985). His tenure as GSSW Dean occurred during a period of prolonged severe financial crisis at the University. Much conflict occurred with the faculty over program direction, hiring, budget and spending priorities, and the threat of GSSW’s potential consolidation with the School of Professional Psychology and College of Education–which would have resulted in the loss of GSSW’s status as an independent academic unit. McCummings left GSSW in 1985 to become the President of Cheyney University in Philadelphia, one of the oldest Historically Black Colleges in the United States, which was threatened with loss of accreditation because of its own prolonged financial crises and administrative turnover. McCummings served as president of Cheyney until 1991. Ken Kindelsperger was born in Galesberg, Illinois. Ken received a B.S. and M.S. degree in social group work from George Williams College (Chicago) in 1942. He completed his doctorate at the Syracuse School of Social Service Administration in 1956. He held various social work positions in Chicago while attending college and graduate school. During WW II, Ken served as Lt. Commander, U.S. Naval Reserves, which included a stint as Fleet Morale Officer at Pearl Harbor. After the war, he was the Secretary for Planning and Research for the Council of Social Agencies at Syracuse, NY, and eventually joined the social work faculty at University of Buffalo in 1950. Subsequently, he served as dean of schools of social work at three universities: Syracuse University, University of Louisville (KT), and University of Denver. Two major themes highlight his career as a social work educator and administrator. First, he was committed to international social work. He worked for two years in India, studying social problems and helping to establish schools of social work. Later, he made two visits to South Vietnam as a consultant for the Agency for International Development, studying social welfare conditions and making recommendations. He traveled to many other countries and served on numerous international committees at CSWE and other social work organizations. Second, he was deeply committed to the advancement of civil rights for oppressed racial and ethnic groups. As Dean of the Kent School of Social Work at Louisville, he participated in the march on the state capital to demand passage of civil rights legislation. He came to GSSW during the time when student protests over the Vietnam War and racial discrimination were at fever pitch. Although faced with the loss of federal stipends for social work training, instituted by the Nixon administration, he nonetheless managed to increase significantly the number of MSW and doctoral students of color, and also increased the faculty of color. He was a widely respected administrator, known as hard working, compassionate, and fair. Ken and his older brother, Walter, were both deans of social work at the same time–the only known set of “brother deans” in the history of the profession. The University of Denver announced today, June 12, 2014 that the 18th Chancellor of the University of Denver is Dr. Rebecca Chopp. Dr. Chopp comes to DU from from Swarthmore College in Pennsylvania where she has served as President since 2009 and will join the University of Denver community as Chancellor on September 1, 2014 as the first female chancellor of the university. The Graduate School of Social Work looks forward to welcoming Dr. Chopp to campus tomorrow and again in the coming months. For more information on tomorrows events at the Anderson Academic Commons please visit: http://www.du.edu/chancellor-search/index.html. 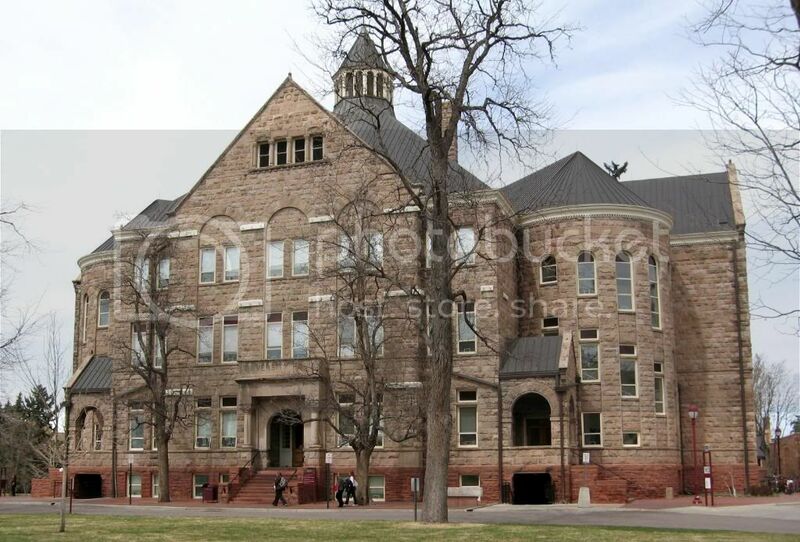 The University of Denver will celebrate its Sesquicentennial (150 Years) as a university in 2014. Below is a picture of campus as it would have looked in 1864. As part of the larger university celebrations the university is hosting many events throughout the year to help the DU community, supporters, and alumni celebrate this momentous moment in the universities history. The main university blog posted a great article about the history of the university that we at GSSW think you all should go read and share. Their blog can be viewed at: http://blogs.du.edu/magazine/campus-community/university-to-celebrate-150th-anniversary-throughout-2014. In addition to this great article the university has a Sesquicentennial website with all the events and information that will happen over the next school year. We encourage everyone to visit: http://www.du.edu/live/eventseries.html#sesquicentennial. The GSSW Class of 2014 is graduating in an unique year for the university and are also our last class to graduate under our old curriculum. Lots of changes are happening at GSSW and at DU and we hope everyone is ready for the journey with us! Happy Sesquicentennial DU! We’re glad to be a part of such a great university!